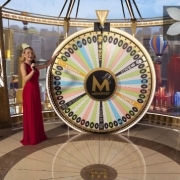 There’s nothing quite like a new game launch to inspire casinos’ generosity on the promotions front. 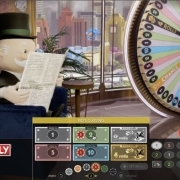 Game launches don’t come much bigger than Evolution’s much hyped MONOPOLY Live money wheel. It also happens to be a game with a big house edge so casinos would be especially keen to entice as many players as possible to give it a go. So, no surprises that giveaways on the new MONOPOLY game are now coming thick and fast. If you are ever going to subject yourself to MONOPOLY’s 4% plus house edge, then this is the time to do it because the offers currently running are generous. Pretty inventive too it has to be said. Also, they are quite diverse so whether you’re a big player, a penny pincher, have some luck or strike out on the MONOPOLY wheel you are a chance to score some extra cash depending on the offer(s) you choose. 7 days, €£$20K cash handed out each day at William Hill. Every €£$10 staked on MONOPOLY Live gets you a ticket in that day’s random prize draw in which 1,860 players win a cash prize. 2 weeks, 2 random draws at Leo Vegas. Each draw is worth €£15,000 in total, shared by 50 winners. For these draws, you earn entries by winning through to the MONOPOLY Live Bonus Game round, irrespective of your bet amount. A minimum bet (€£0.10) is enough to get you a ticket. 20 players will share in €15K cash each week at Mr Green. They’ll also be holding a grand prize draw for €20,000. Entries in the weekly draws are earned each time you place a bet of €25 (or more) on the MONOPOLY Bonus Game segments (2 roll or 4 roll). You get your entry whether the big wheel lands on your chosen bet or not. Entries in the Grand Prize draw are all about turnover – 1 entry per €100 staked. Unibet are holding a 1 week leaderboard, with the top 50 players (based on the number of rounds played on MONOPOLY Live) sharing €£10,000. A bet of €£ 0.20 counts just as much as a bet of €£200 in this tournament. Pretty diverse range of offer there.